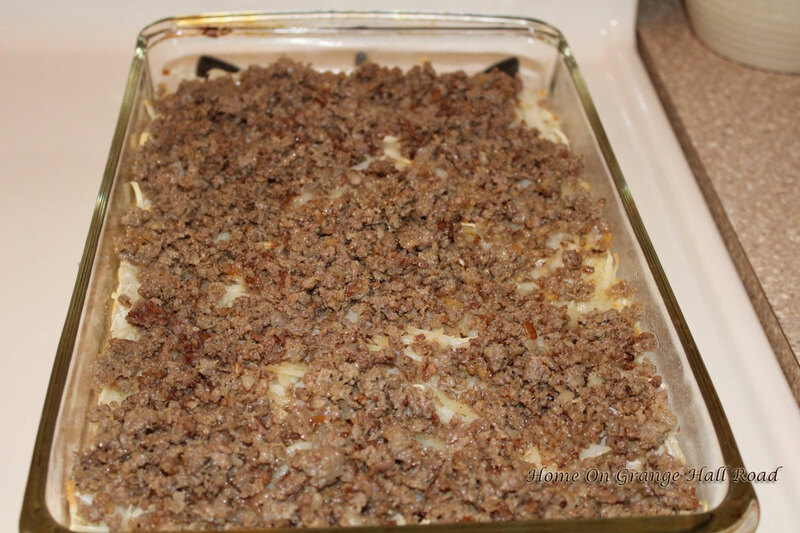 Who doesn’t like an easy to prepare yummy casserole. I came across this recipe from Cooks.com awhile back and it has quickly become my favorite go-to dish. Of course, as I always do, I modified the recipe to fit the needs and taste of my family. 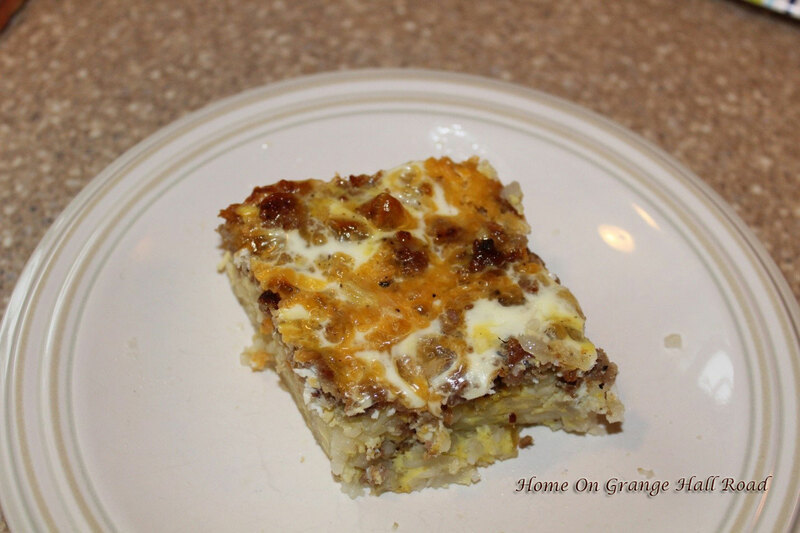 It is called a “Breakfast Casserole” but it very appropriate for any meal. Grease a 9 x 13 pan. 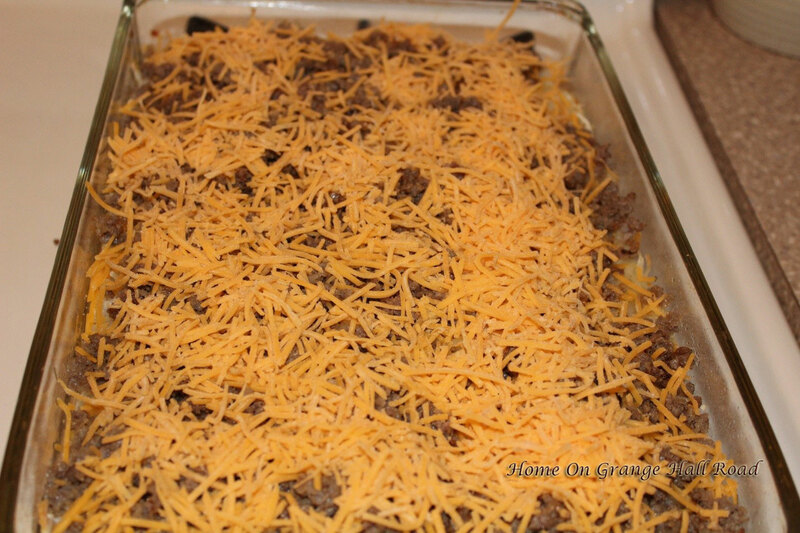 I use a 13 ½ x 8 ¾ inch pyrex baking dish. You may need to modify the ingredients depending on the size of the baking dish. If you are using pork sausage, brown the sausage and set aside. Break hash browns up into shreds. Press between paper towels to remove moisture. Put in pan and brush with melted butter. Bake 25 minutes at 425 degrees. 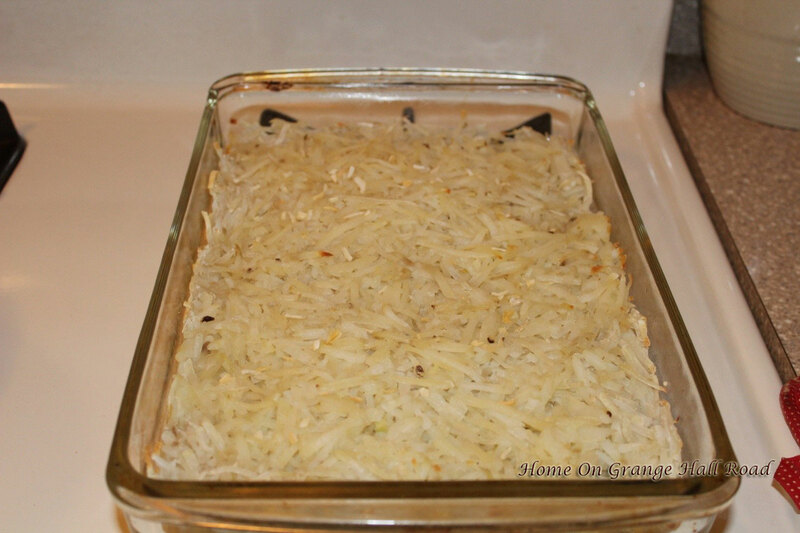 Remove the hash browns from the oven. They have cooked very nicely and are starting to brown. Sprinkle with your choice of meat (I usually always use pork sausage). Next, sprinkle the cheddar cheese over the meat. Beat eggs and milk together. Pour over cheese and meat. Add a few chopped onion flakes, salt and pepper to taste. Bake at 350 degrees until knife inserted at the edge comes out clean. I usually bake for 35 – 40 minutes. 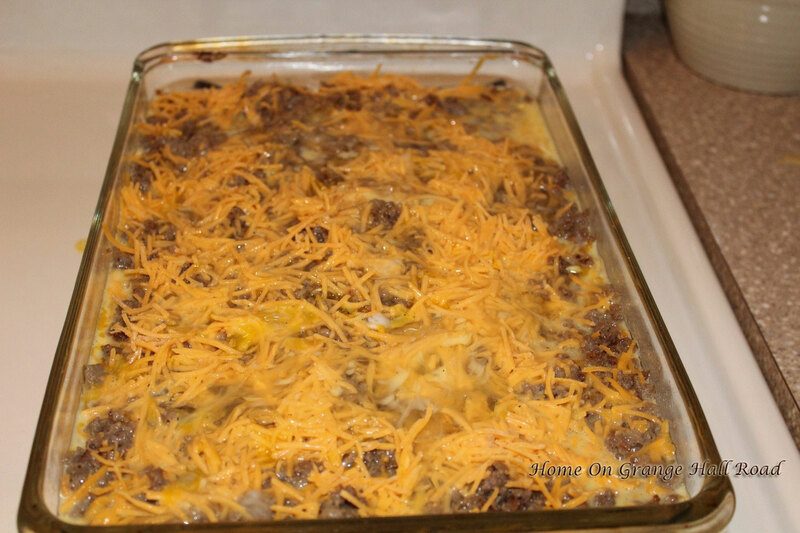 A great casserole that is not only a “breakfast” casserole but makes a great “any meal” casserole. Thanks for stopping! January has certainly flown by and we are heading strong into February. Spring and flower planting are just around the corner!! !